This site is located a bit east of the main Cedar Hill cluster, on the US 67 service road, and houses CBS O&O KTVT (11 Fort Worth, DT 19 permit); public television KERA-TV (13 Dallas, DT 14 permit); and public radio KERA (90.1 Dallas). 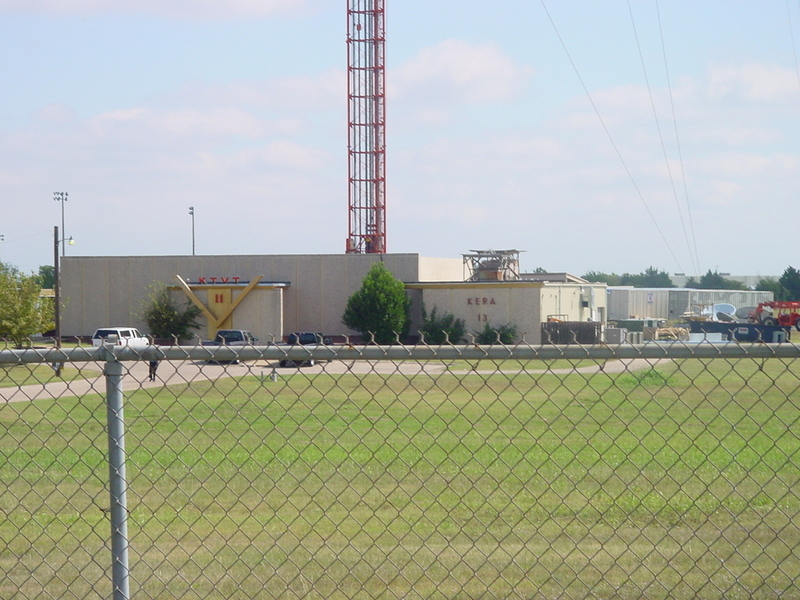 Channel 11 was originally KFJZ-TV, sister station to 1270 in Fort Worth. We'll get to KTVT's studios later.